Enjoy exotic explorations on this Adventures by Disney Ecuador and Galapagos Islands itinerary. 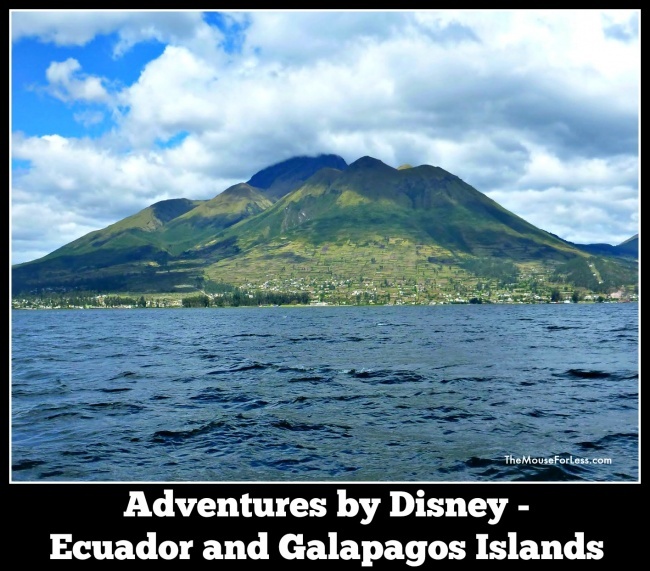 Your Adventures by Disney guides will add even more magic by seamlessly taking you to each location in Quito, Otavalo Valley, Galapagos Islands and Guayaquil on this 9 Day/8 Night vacation of a lifetime. Find out about one of Ecuador’s biggest exports and an important part of Ecuadorian culture—roses! Take a private tour of a working rose plantation and delight in a colorful array of beautiful flowers. Board the Santa Cruz II Ship filled with stargazing and storytelling for an expedition to the islands of Baltra, Santa Cruz, Bartolome, Santiago, and Genovesa. Stand at the “Middle of the Earth” as you visit this enormous sundial. Sitting precisely on the equator, the sundial marks not just the location but also the cultural identity of Ecuador. Hike across the Archipelago islands and submerge yourself in exotic underwater worlds with the help of a licensed naturalist. Encounter unique animal life—like blue-footed boobies, sea turtles, giant tortoises, red frigate birds, iguanas and sea lions. Be entranced by the whirling folk dancers at a festive welcome dinner and a private performance by a local flute maker. Learn weaving techniques from local experts at a renowned cultural center.